Individualism and selfish, pragmatic lifestyle represent manifestations of degradation in morality and lifestyle, which were pointed out by Resolution of the 4th Plenum of the Party Central Committee (Tenure XII) on Party building. If these manifestations were not opportunely deterred and denied, they would undermine the prestige of the Party and State, and goals and ideals that our people are striving for. Consequently, it is necessary to correctly recognize this matter to enable each cadre, party member and party organization to work out measures for “self-examination, self-correction”. Individualism and selfish, pragmatic lifestyle are social phenomena that occurred relatively early in the history of humankind. In Vietnam, during the enduring and arduous revolutionary struggle, especially in severe, fierce periods of historic importance, these manifestations used to occur with different degrees of danger and ill effect. In current situation, the correct identification of individualism and selfish, pragmatic lifestyle to work out response is a pressing requirement. If we correctly recognize these issues, we will be able to set out measures to cope with and overcome, making contribution to improving the quality of cadres and party members, and strengthening people’s belief in the Party and regime. Conversely, these manifestations would decay our Party from inside and create conditions for the hostile forces to carry out their sabotage. Generally speaking, manifestations of degradation in political ideology, morality and lifestyle, “self-evolution” and “self-transformation” within the Party, which were pointed out at the 4th Plenum of the Party Central Committee (Tenure XII), have also covered those of individualism and selfish, pragmatic lifestyle. 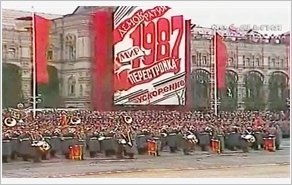 Among nine demonstrations of degradation in morality and lifestyle of a proportion of cadres and party members, for the first time, our Party mentioned “individualism and selfish, pragmatic, opportunist, and mercenary lifestyle; pursuit of personal interests and disregard for collective interests; jealousy, grudge and dislike of being surpassed by other people.” The resolution has also put forward specific solutions and measures to treat this perilous “disease,” in association with enhancing the Party building and deterring and denying degradation in political ideology, morality and lifestyle, and expressions of “self-evolution” and “self-transformation” within the Party. Individualism and selfish, pragmatic lifestyle constitute the roots of “diseases” such as bureaucracy, corruption, wastefulness, partiality, harassment of people, etc., undermining party organizations and corrupting cadres and party members. As for cadres and party members infected with these “diseases,” they always rely on their sense of “self” to handle relations and do their jobs; defy law and order; and are retrogressed in revolutionary morality. Cadres and party members who have manifestations of individualism and lead selfish, pragmatic lifestyle always seek to take advantage of guidelines and policies of the Party and State to pursue their own interests. They exploit loopholes in leadership, instruction and policies to get promoted and serve their own political ambition and interests; and sabotage, collude and have factionalist spirit, sowing internal discord and undermining the prestige of our Party. If they cannot fulfill their personal intentions, get promoted and make profit, or are punished, they are likely to express their dissatisfaction. When being contacted and embroiled by the hostile forces, these opponents are likely to become the opposing force against the Party and regime. It is extremely dangerous and difficult to deal with individualism and selfish, pragmatic lifestyle since they are invisible enemies and exist in each of us. They are like germs that give rise to many other diseases, and the roots of every disease with unforeseeable complex disguises very harmful to every cadre, party member and organization. To become more advanced and stronger, it is imperative to get over this harmful “disease.” However, the fight against individualism and selfish, pragmatic lifestyle is a struggle that is full of difficulty and complexity and without clear boundaries. According to the spirit of Resolution of the 4th Plenum of the Party Central Committee (Tenure XII), we have been implementing measures to overcome and treat the “disease” of individualism and selfish, pragmatic lifestyle. Many pieces of content and measures have been applied in the spirit of activeness, proactiveness, “resolve, and patience to realize with high political determination and great efforts.” These measures include development and effective execution of the Party building in political, ideological, organizational, and moral terms; strict realization of cadres and party members’ exemplary responsibility; enhanced administrative reform within the Party; scrutiny, amendment and improvement of regulations with a view to promoting close management of cadres and party members; and good implementation of criticism and self-criticism. At the same time, it is vital to strengthen examination, supervision and publication of the results; give prominence to the leaders’ responsibility; well conduct the Party and authorities’ public relations; bring into play the role of supervision of the Fatherland Front, socio-political organizations, people, press, and public opinion; seriously and effectively realize the motto, “the people know, the people discuss, the people do, and the people examine”; and concentrate on opportunely and completely addressing urgent issues in the society, etc., to get over this “disease”. The hostile forces and reactionaries’ sabotage through the strategy of “peaceful evolution,” “self-evolution” and “self-transformation is a crucial cause of the above-mentioned situation. They exploit issues relating to “democracy,” “human rights,” “ethnicity,” “religion,” our weaknesses, loopholes, and insufficient vigilance to distort and twist the situation; advocate self-indulgent, selfish and pragmatic lifestyle and individualism; collude with opportunists and political malcontents to vehemently sabotage the revolution in an increasingly subtle, dangerous manner. Consequently, combating individualism and selfish, pragmatic lifestyle among cadres and party members today requires close association with the struggle to defeat the hostile forces’ strategy of “peaceful evolution,” schemes and plots to take advantage of individualism and selfish, pragmatic lifestyle among cadres and party members to bribe, embroil, induce, and sow division between the Party and people and social consensus. Besides, the hostile forces also exploit our struggle to sabotage the Party and regime. The allegations that our Party’s current resolve to combat individualism and selfish, pragmatic lifestyle aims to “deceive and distract public opinion”; and this approach has not “really dealt with problems” yet are those of people wishing to twist our Party’s standpoints in favour of their bad intentions, not of “people acting in good faith” and “in the interests of the nation and people” as what they have self-proclaimed. We combat individualism and selfish, pragmatic lifestyle among cadres and party members in order to make our Party purer and stronger, capable of bringing success to the cause of renewal, national building and defence, and international integration. “Apart from national interests, our Party has no other interests.” Thus, it does not absolutely “deceive and distract public opinion” as what is being intentionally distorted. In this struggle, our Party requests cadres and party members, first and foremost key leaders of the Party and State agencies and mass organizations, to self-criticize and criticize in the spirit of pure comradeship, mutual respect and understanding, seriousness, tolerance, reasonableness, self-consciousness, voluntariness, honesty, objectivity, and a pure heart; and to resolutely reject partial thought, envy and narrow-mindedness which may hurt comradeship and undermine unity and solidarity within the Party. Those are imperative and substantial actions aimed to make each cadre and party member perfect in their quality, ability and style; and to make our Party politically, ideologically, organizationally, and morally strong, and competent to fulfill their assigned tasks and responsibilities to the nation and people. The real scheme of people raising the aforementioned viewpoints is very clear. By doing so, they seek to twist, attack, deny, and abolish the Party’s leadership over our country and society. To sabotage our Party, State and the Vietnamese revolution, the hostile forces have been exploiting every condition and situation, including the national Party congresses; plenums of the Party Central Committee; the Party’s major and concrete activities; private lives of the Party and State leaders, cadres and party members; negativity, corruption and retrogression among cadres and party members, as well as the fight against these wrongdoings; the Party’s internal affairs; social and international relations; affairs in social life, and so forth. The hostile forces’ plot to distort the Party’s guidelines on combating individualism and selfish, pragmatic lifestyle cannot cheat anyone. It has failed because of the Party’s robustness and people’s confidence in the Party.